By studying and sketching what nature is brewing, botanical artists have been helping scientists identify various plant species over centuries — for medicinal purposes, to study and maintain healthy ecosystems and to document rare and extinct species for publications. And it doesn’t look so bad hanging on a wall, either. 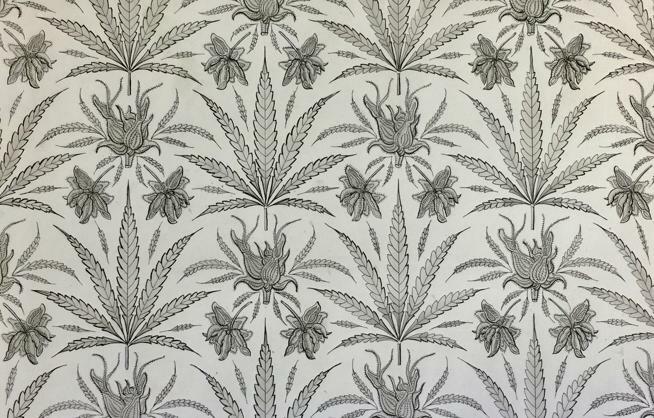 This blend of art and science will come together in a rare exhibit at the University of Colorado’s Museum of Natural History with “Cannabis: A Visual Perspective,” opening in the BioLounge on Sept. 8. With Colorado’s legalization of cannabis and the surging interest in its medicinal properties, the juried selection of 20 illustrations, presented by the Rocky Mountain Society of Botanical Artists, will hang in the form of watercolor, acrylic, oil, colored pencil, pastel, print and mixed media. Other than exploring the diversity of the plant, Balog said the exhibit will spotlight CU’s state-funded research grant that is being used to study the effects of high-potency cannabis. Denver artist Susan T. Fisher, past president of the American Society of Botanical Artists and honorary director of the Rocky Mountain society, will display a piece in the exhibit. 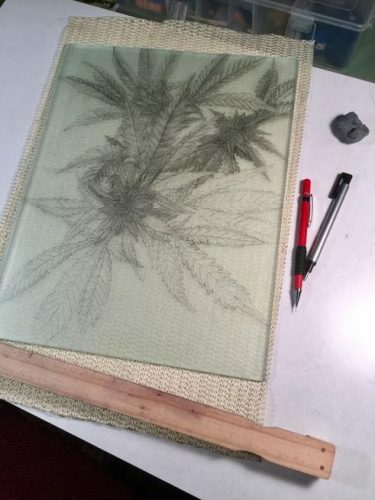 It was when she was initially sketching her solarplate etching of the sativa strain Charlotte’s Web, when she realized how complicated cannabis pants are. Fisher, former coordinator for Denver Botanic Garden’s botanical art program, has a stacked resume and an impressive display of work. To prepare for “Cannabis: A Visual Perspective,” she said the artists trekked to a grow facility in Longmont in January for initial sketching. Since cannabis became legal in Colorado in 2012, Fisher said the members of RMSBA have been interested in drawing the plant to establish visual records. It’s the mix of science and art that has helped the art culminate in a resurgence, Fisher said. And drawing them, like two famous Colorado botanical artists also did — Denver’s Ida Pemberton and Boulder’s Anne Ophelia Todd Dowden. Pemberton’s collection of 64 botanical watercolors from the 1930-40s of plants she grew at her Denver home are being preserved by the Museum of Natural History, said Balog. When Pemberton died of stroke at the height of her career in 1955, her husband sold the watercolors to CU. Dowden, whose bulk of work resides at The Hunt Institute at Carnegie-Mellon in Pittsburgh (where Fisher studied), grew up in Boulder, then moved back to Boulder in 1990 and lived there until she died in 2007 at age 99. Even Pemberton sketched cannabis in the 1930s, “way back when marijuana might not have been a big bugaboo,” said Fisher. The attention to detail for botanical artists is crucial. Think about when Charles Darwin would explore, said the Museum of Natural History’s Balog. With modern, high-tech cameras, why not capture a plant in a click? Balog said cameras usually zero in on one focal point and tend to blur the rest. And there’s more, Fisher said. Plus, botanical art breaks up the world’s daily over-saturation of images, said Fisher. Fisher said lately it seems like people are connecting to nature in a way that they never have before.